Juror/Judge of Awards and Selection for the show. Mr. Butler received his Masters of Fine Art from Rochester Institute of Technology in 2010. ELIGIBILITY: Open to all painting & photography artists. Work ORIGINAL 2-Dimensional paintings or photography only. Work must be wholly designed and executed by the artist. Not done under supervision. Paintings or photographs must have been created within the last 4 years. Overall size, including frame, should not exceed 38”x38”. Work must be sturdily and attractively framed and wired for hanging. No saw-tooth hangers. Artwork may be framed with or without mats. Only one category (either painting or photography) per artist. ENTRY FEE: $30 for ACYC members, $35 for non-members - for up to 3 entries. Payment will be made through the on-line art entry service, Show Submit, by credit card. If in doubt of your membership status, please contact ACYC. 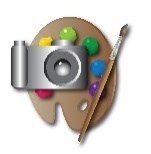 DIGITAL ENTRY FORMAT: All entries must be digital images and submitted online at: www.artscenteryatescounty.org where you will be linked to Show Submit, an on-line art entry service. 1. Set your camera for a very high quality image that is not less than 300 dpi. This will be a large file size. Make sure your camera is square with the painting when you shoot, so that the image is not skewed or distorted. Use of a tripod is suggested. You may make adjustments,but only as needed to make the image look more like your painting. 2. Crop the image. No mat, frame, or extraneous material should appear other than the painting. Now make a copy of this image (SAVE AS). Keep the original for your own records. 3. Resize the copy image to 900 pixels on the longest side with a resolution of 300 dpi. 4. Give the image a new filename, as follows: Last name_first initial_painting title. For example if your name is Jane Doe and your painting is titled Early Sunday Morning and, the name you would give the digital image is: Doe_J_EarlySummerMorning. Doe_J_EarlySummerMorning.jpg 6. Images not meeting the requirements may be disqualified. NOTIFICATION of acceptance will be made via email by an e-mail through Show Submit (jbaker@showsubmit.com) by May 8, 2017 or earlier. ACCEPTED WORK must be labeled with artist’s name, title, medium, and price on back of art work in lower right corner. Artwork must be identical to the accepted image. No substitutions permitted. All accepted artwork MUST be delivered to the exhibition. Digital entry is a good faith obligation and should be honored. Artwork should be hand delivered to the Flick Gallery at the Arts Center of Yates County, 127 Main Street, Penn Yan on Monday, June 6 between 9 am and 12 noon. Shipped artwork must be received between Monday, May 29th and Friday, June 2, 2017. Artwork must be picked up from the Flick Gallery at the Arts Center of Yates County, 127 Main Street, Penn Yan, NY on Thursday, July 6 between 10 am and 4 pm unless otherwise prearranged. ACYC will not be responsible for packing and shipping any artwork. WAIVER: Due care will be taken with all artwork. However, the ACYC nor any member thereof will not be held responsible for loss or damage to exhibited and/or shipped artwork. Artists may wish to acquire insurance to cover loss and/or damage. Over $2000 in cash and merchandise awards will be awarded. SALES: Sales are strongly encouraged but artwork is not required to be for sale. Artists who sell their artwork in the show will be charged 35% commission to the Arts Center of Yates County to help defray their costs related to the exhibit. ACCEPTED ARTWORK: All accepted artwork must be submitted and displayed for the duration of the show. USE RIGHTS: By submission for jurying, artists whose submissions are chosen for the exhibition grant the Arts Center of Yates County the right to use their images for the purpose of marketing the exhibition, marketing the ACYC programs and subsequent display on the ACYC website of past exhibitions. Artists grant the use of their image(s) as stated without further contact or compensation from ACYC. ACCEPTANCE of all the above conditions in this prospectus is acknowledged by completion of Entry Form and submission of jpg files. All of us at the ARTS CENTER would like to extend our sincere appreciation to our "2017 Painting and Photography" Juried Show sponsors! These sponsors allow us to offer our artists valuable awards for their artwork. Thank you for your support!